Few people have tried exoskeletons because they're still very costly. The Phoenix goes for around $30,000, a bargain compared with other medical and therapeutic exosuits, which can cost $80,000 and weigh more than 44 pounds. Although limited power supply is still a huge constraint, today's batteries may prove to be enough as exosuit tech morphs into new forms. 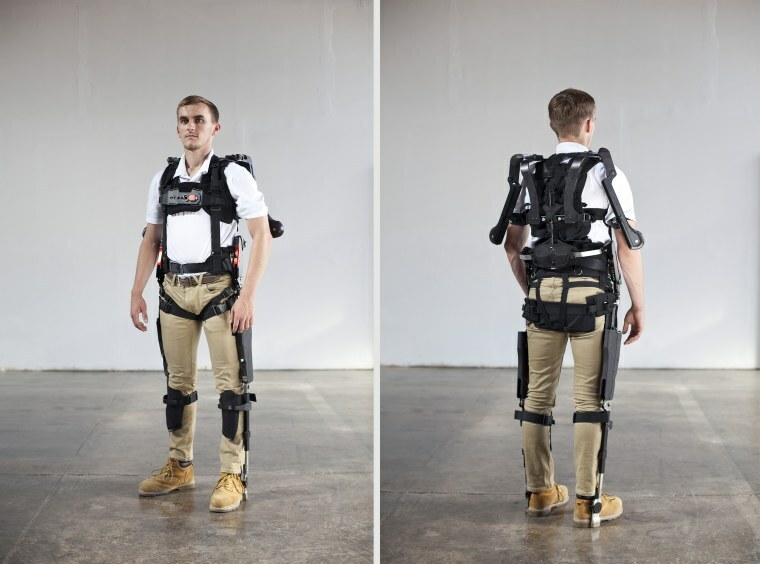 Not only are passive exoskeletons arriving on the wearable robotics catwalk, but many new exoskeletons have gone soft, eschewing metal frames altogether for flexible fabric and artificial muscles. The new trend stems from a DARPA-funded program dubbed Warrior Web, which seeks to prevent damage to injury-prone areas of the body and minimize fatigue. Extrapolation is perilous, but exosuits could one day become mass-produced personal mobility machines for everyone: a fashionable, high-tech device that enables independence, improves overall physical well-being, and operates as a status symbol. In other words, like today’s car. Guess it’s no surprise that engineers at Hyundai, Honda, Toyota and other manufacturers are hard at work building tomorrow's exoskeletons.